This tutorial shows how to use wire to wrap around a bead to turn it to beautiful earrings. 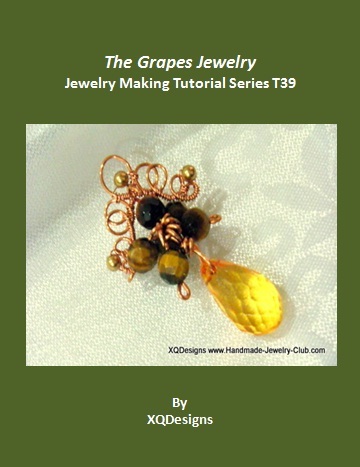 This tutorial can be adapted to accommodate other sizes of beads. The tutorial is catered for beginners or anyone who loves to learn this basic weave. It has in-depth instructions and ultra-clear, close-up photos at each step. Additionally, you can ask me question you have on the tutorial. No more getting stuck and frustrated on a confusing or just plain inaccurate pattern. 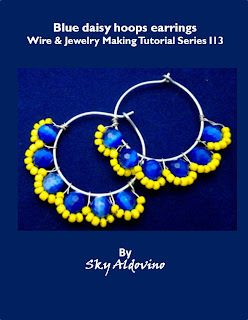 A quick and easy wire tutorial how to create earring hoops! With this tutorial you’ll learn how to make loops, wire wrap with beads and create your own earring hoops that you can use in creating other designs for earrings. With the techniques you’ll learn you can make variations by changing the size of the earring hoops and beads to use. Make the earrings hoops colorful and dashing or make it simple and elegant. 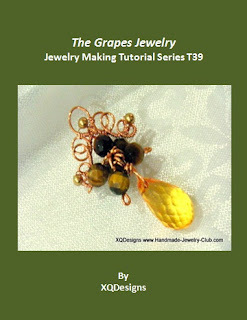 This tutorial shows you how to make the grapes like jewelry using wires. The tutorial is catered for intermediate or anyone who loves to learn this wirework technique. It has in-depth instructions and ultra-clear, close-up photos at each step. Additionally, you can ask me question you have on the tutorial. No more getting stuck and frustrated on a confusing or just plain inaccurate pattern. Cross is always a popular craft item! Since Christmas will be around the corner, why not learn how to make this woven cross pendant. 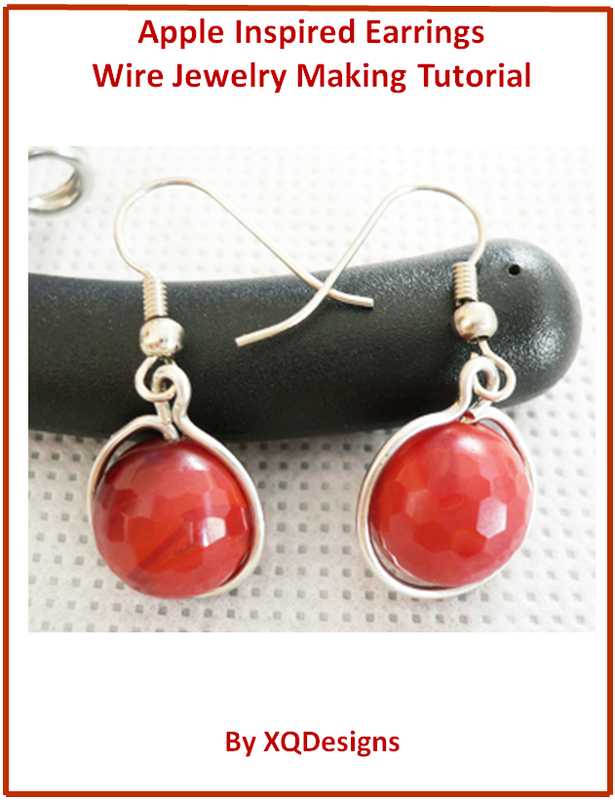 You can turn them into earrings, bracelet and they are great gifts for your loved ones! The tutorial uses simple materials and technique to make this beautiful looking pendant. 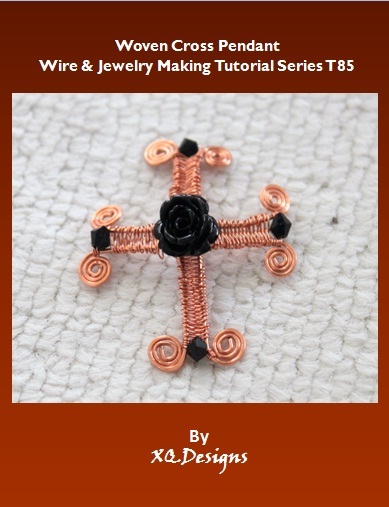 It covers basic to intermediate wireworks techniques such as make loops and spiral as well as wire weaving. 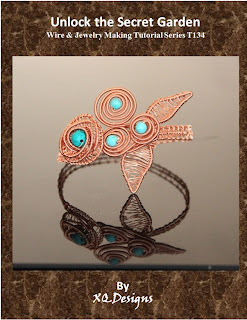 With this tutorial, you’ll learn how to coil wires and wrap beads. With simple wire manipulation techniques you can shape the wires into cute little buds and leaves that when finished,you’ll have an elegant flower bangle, ready to bloom on your wrist. You can add variations by using different sizes and colors of beads.You can also use a different color of wire for every bud or leaf. But have you wondered where the clasp is? Well, you’ll find that out once you finish the piece. Let’s unlock the secret and create a wire bangle! The tutorial is suited for advance students, but with detailed instructions and pictoral step-by-step, even beginners will be able to follow through.